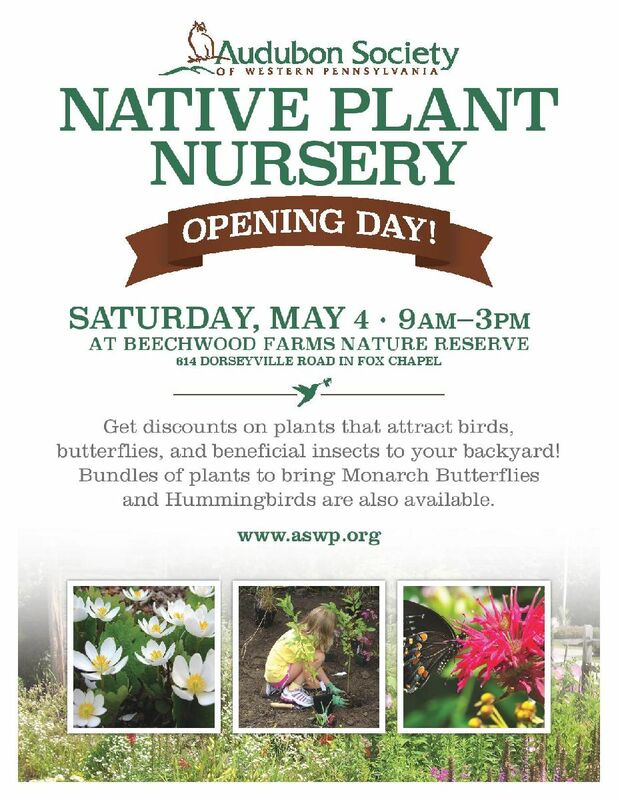 Join us for the opening day of our Native Plant Nursery. Get discounts on plants that attract birds, butterflies, and beneficial insects to your backyard! Bundles of plants to bring Monarch Butterflies and Hummingbirds are also available. Experts will be on site to help you choose the right native plants for your project. Native plants are for sale at Beechwood Farms Nature Reserve each year from May through October during our nature store hours. Get to know southwestern Pennsylvania’s amazing native spring wildflowers. Learn how you can incorporate these native plants into your yard to support birds, pollinators, and wildlife then take a walk around BFNR to see them in their natural setting.